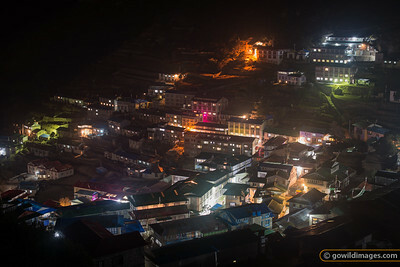 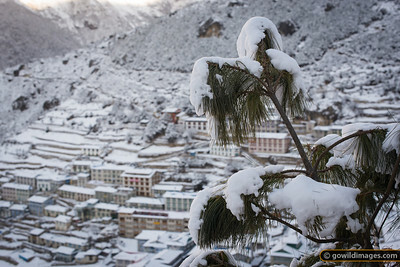 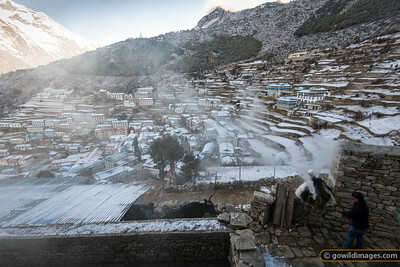 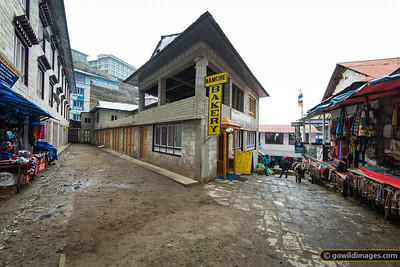 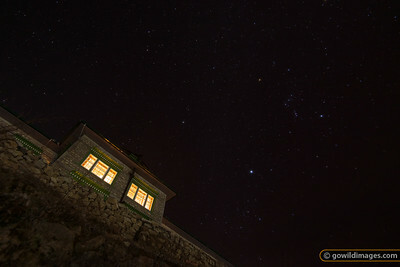 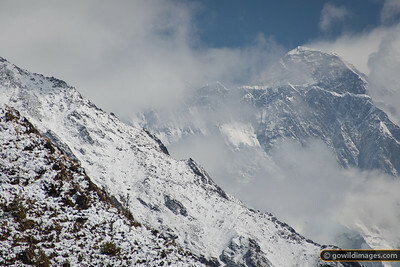 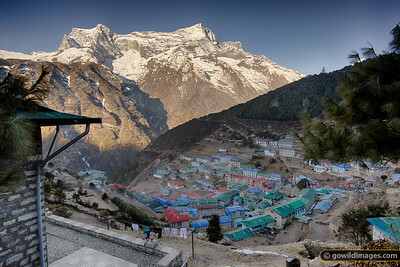 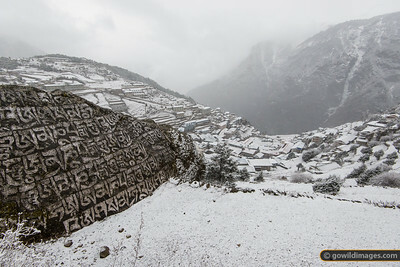 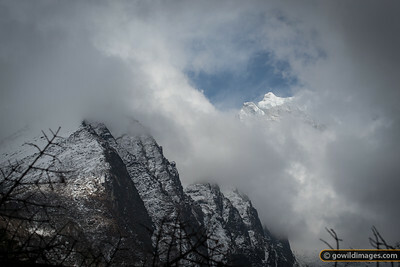 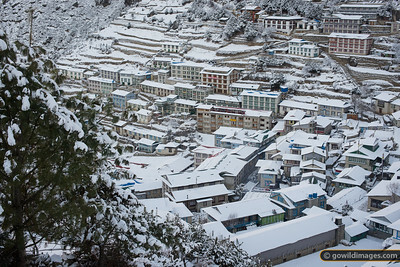 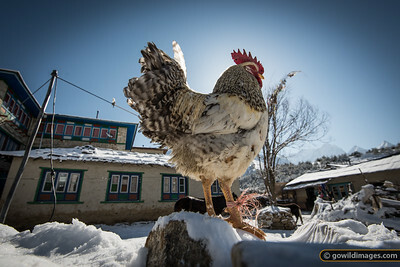 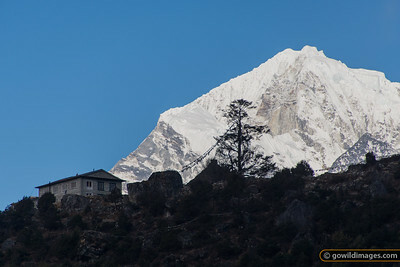 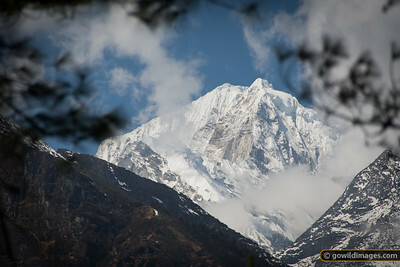 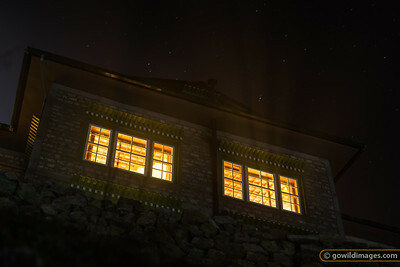 Light Spring snow dusts Namche overnight. 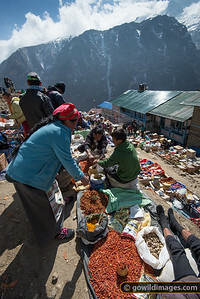 The morning ritual includes burning juniper or fir branches as an offering to the gods. 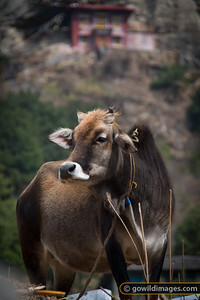 The resident dzopkyo (buffalo-cow-yak hybrid) is let out from the shed to graze. 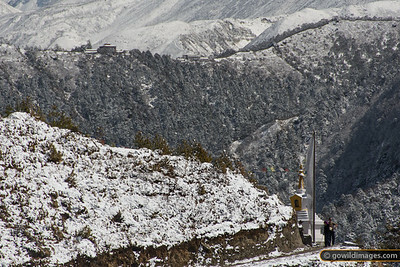 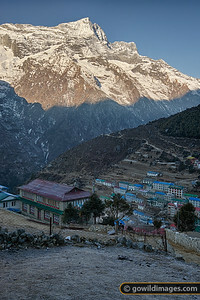 A stupa under snow (left) on the trail to Tengboche monastery (centre). 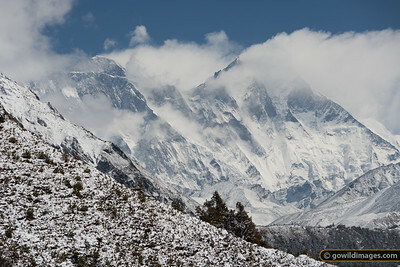 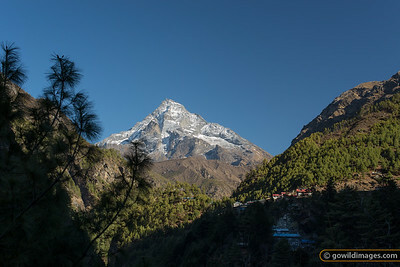 Mt Everest (8850m) is making clouds just left of centre, with Lhotse (8516m) partly obscured just to the right. 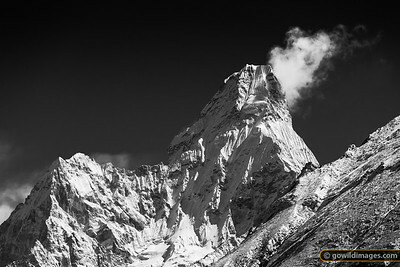 Far right is Ama Dablam peak. 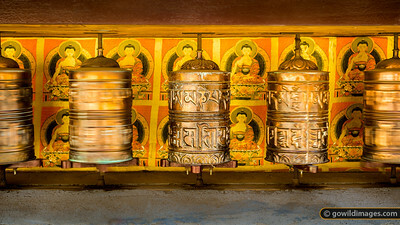 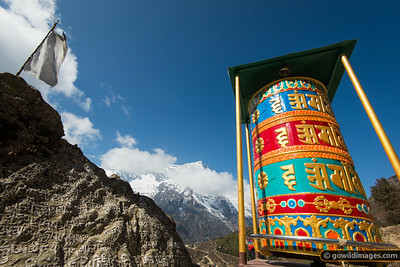 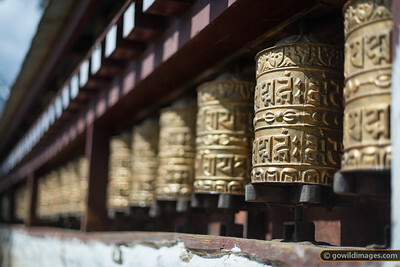 A stupa on the trail to Tengboche. 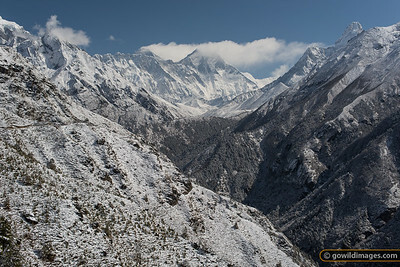 Mt Everest (8850m) is making clouds just left of centre, with Lhotse (8516m) partly obscured just to the right. 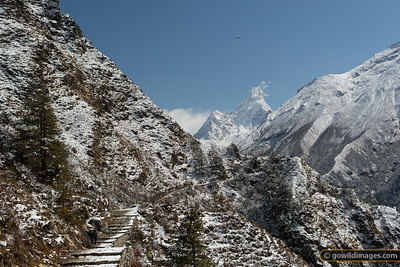 Far right is Ama Dablam peak. 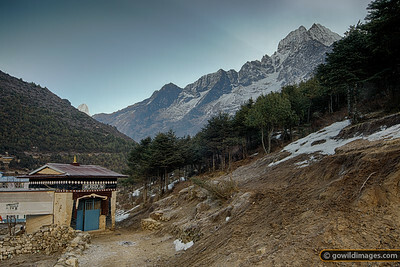 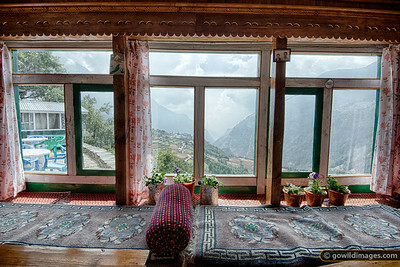 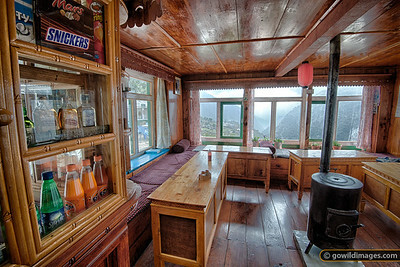 Trekkers rest at a stupa on the way to Tengboche. 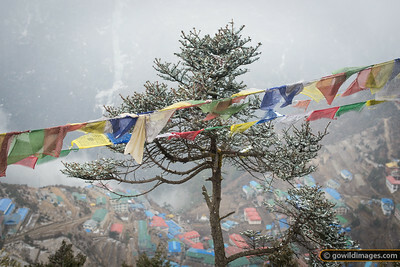 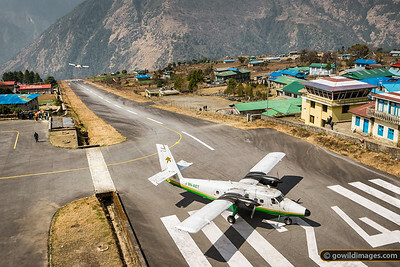 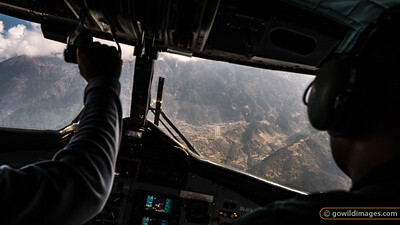 The monastery is visible top left.